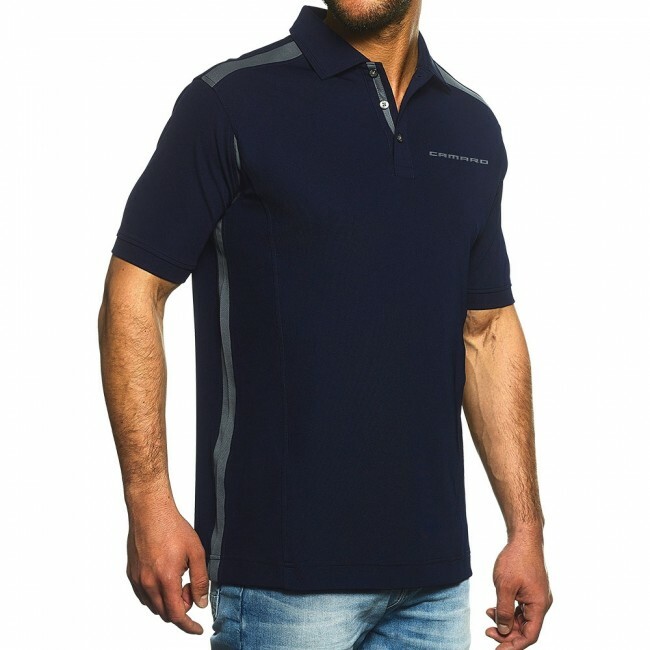 Take charge of your style in this sleek and classic polo. It features a tailored collar, contrast back accents and contrast mesh inserts under arm and side seams. Embroidered with the Camaro Heritage logo on the left chest. Snag resistant moisture-control fabric made of 94% micro-polyester/6% spandex. Imported.